Organic. Create discover and be epicurious. Delicious in soups, casseroles and bake. 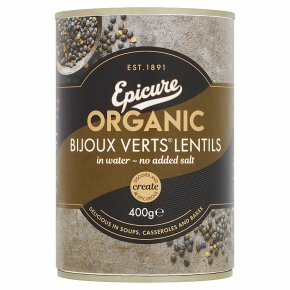 Our Organic bijoux Verts® Lentils are carefully selected their distinct nutty flavour and soft, meaty texture. Delicious in a spicy lentil curry.